German wind turbines are mysteriously collapsing, catching fire, but authorities refuse technical monitoring and mandatory inspections. North German NDR public television here reports how days ago 50 fire fighters were called to the scene of a wind turbine fire. All they could do was extinguish the debris once it had fell to the ground. The reason for the fire occurring last Thursday in the community of Holtriem in the district of Wittmund is unknown. But it is the second occurrence at this wind park over the past month. The fire is reported to have broken out in the tubine’s generator are, some 60 meters above the ground, and making it impossible for fire fighters to reach. NDR reports that this is “already the third turbine fire in Lower Saxony in 2018. Whether the fire was caused by a design defect or inadequate maintenance remains unknown, and answers are not expected any time soon. The German Technical Inspection Association TÜV has been calling for beef up wind park monitoring and mandatory inspections of wind turbines However the NDR reports, “The German federal government and the German Wind Industry Association (BWE) reject the request.” Many turbines are now more than 15 years old. Fires have not been the only problems wind turbines in the Lower Saxony region have been seeing, the NDR reports, but also catastrophic mechanical failure involving towers and blades suddenly snapping. In early January, 2017, in Neu Wulmstorf near Hamburg, a 16-year old wind turbine suddenly collapsed”, NDR reported here. Turbines are typically designed to last 20 years. NDR wrote that the wind turbine fires and collapses were not isolated incidents and reported that “collapsing wind turbines, burning rotors and snapping rotor” had occurred in “four accidents” in Germany over the previous weeks. I’d like to see all these subsidised monstrosities collapse, or combust, just as long as nobody gets gets hurt and the parasites who own them get presented with the clean up bills. Well, as of 2014 they were bursting into flames at a rate of 10 per month, so you’re at least getting some of what you wish for. But, given the end of the 20 year subsidy period approaching, perhaps for some owners ‘skipping’ service might be also be a natural business decision! It may be that the calm days cause most bearing damage if the operators allow the turbines to sit still for long. In these circumstances the wind farm should be importing power to keep the turbines turning slowly. A large span, strong winds (not uniform across the entire length, and up & down), and every other thing of a complex machine — what can go wrong, will. No one should be surprised. They wouldn’t fail so regularly if properly Engineered. The sanctity of renewables apparently provides exemptions. If you don’t maintain a wind turbine, change the gear oil, they are going to fail. Every single one will have some kind of mechanical failure regardless of the maintenance schedules, systems management, it is inherent in what the machine is, has gears, fan blades, structure that is strained from the movements inside the gearbox and blades twirling like whirling dervishes. Something wrong is bound to happen, it won’t take that long, and you’ll begin to start hatin’ it in a big way. The wind industry doesn’t want to take ‘no’ for an answer, doesn’t care what harm it is doing, from golden eagles to bats, partridge, people, the damage is being done. You would think 347,000 of the things would be enough, but the wind industry moves on, invades new areas, promises money, blows enough smoke to sucker some more morons. Eventually, the wind industrialists will wear out their welcome. The locals about to become victims will experience ennui and that’ll be the end of it. The reality is that the mean time between failure of wind turbines is substantially less than 20 years, down times are often long (a week or more), and there is a large variety of causes of failures. ….The analysis of almost 3,000 onshore wind turbines — the biggest study of its kind —warns that they will continue to generate electricity effectively for just 12 to 15 years…. The extra cost is likely to be passed on to households, which already pay about £1 billion a year in a consumer subsidy that is added to electricity bills. The report concludes that a wind turbine will typically generate more than twice as much electricity in its first year than when it is 15 years old. The report’s author, Prof Gordon Hughes, …discovered that the “load factor” — the efficiency rating of a turbine based on the percentage of electricity it actually produces compared with its theoretical maximum — is reduced from 24 per cent in the first 12 months of operation to just 11 per cent after 15 years. The decline in the output of offshore wind farms, based on a study of Danish wind farms, appears even more dramatic. The load factor for turbines built on platforms in the sea is reduced from 39 per cent to 15 per cent after 10 years. No prediction necessary when you have proof of past failure. If you already have them, someone else may not, and they are worth having. You cannot use facts to confuse dedicated ideologists. They’ve got their minds made up. Just had a slow build process and thought I’ll take a look at what my favorite disinformers write and found this gem of a comment. The irony of you guys believing that it is not you who are dedicated to a strange cause and not fixed in your mindset … I wonder why you project this kind of stubborness onto the other side and then use it to argue something vague about confusion. Sebastian. The fact is many proponents of renewable energy point blank refuse to admit that there are any downsides to their cherished turbines and panels. Turning a blind eye to the horrific environmental damage being done in the countries that mine the materials necessary for turbines etc is a case in point. Sebastian. The fact is many proponents of renewable energy point blank refuse to admit that there are any downsides to their cherished turbines and panels. Many proponents? How about the “many opponents” ignoring nearly everything that could challenge what they think about renewables? I don’t know who you are interacting with … we generally know the “downsides” of of renewables and we recognize how [skeptics] (like on this blog) fantasize about those downsides to confirm what they think is reality. We also know about the downsides of fossil fuel power generation, something you guys “point blank refuse to admit”. It is hillarious that you keep mirroring your own behaviour onto the other side to argue against them. Turning a blind eye to the horrific environmental damage being done in the countries that mine the materials necessary for turbines etc is a case in point. Horrific environmental damage by what? Never seen how coal mining or shale oil/gas extraction works? John, you could not have replied with a comment that has less substance. Just wow! Why do you guys keep doing that? Accusing your opponents of something that is clearly what you do yourself. A bit more self reflection would go a long way to improve your grasp on reality. What are the significant downsides for power generation from natural gas relative to the downsides for wind turbine power generation? you are right, I did not add to the substance of the post. It is actually self evident that you did not either. Therefore it was probably stupid to try to point it out. I did so anyway, because there is some new people here that can take a hint. Here ya go! you’re right in one point but long since wrong if you do come up with proper arguments. Given the non-substance of your other comments this should be the last time I’ll have to point that out, in a non-substance comment of myself! CO2 per kWh is one particular downside of using fossil fuels. It is actually self evident that you did not either. Are you telling me the author I replied to added to the substance of the article/post? Do you honestly believe every comment should add to the substance of the article/post and no comment should be allowed that replies to … you know … a comment? Pointing out the irony in an authors comment is not without substance. You might feel this way because you feel personally hurt by such an observation. And why is that a downside? Please detail the downsidedness of using natural gas considering it’s reliable (not intermittent like wind and solar), clean (no particulates as with coal), and it does minimal harm to the environment (unlike wind and solar, which destroy ecosystems and endanger vulnerable species). Saying one emits more CO2 than the other is not answering the question considering it has yet to even be established what the negative consequences are of higher CO2 emissions. Higher CO2 greens the planet, enhances crop yields, and supplies the biosphere with more plant food. The downside…is what? And why is that a downside? Saying one emits more CO2 than the other is not answering the question considering it has yet to even be established what the negative consequences are of higher CO2 emissions. Sure … what rock are you living behind exactly? Is this from the “school of trolling” thing you linked to? Global warming! I know, not established for you guys. Sometimes you even claim the CO2 concentration increase isn’t even caused by humans or other ridiculous things that “could be” or “if true, would change everything”. What does a believer in the harmfulness of CO2 think the downside is for natural gas relative to wind and solar? Why are wind and solar clearly better? I have no idea what you’re even talking about. I never linked to anything referencing the “school of trolling”. You’re just making stuff up again. Explain why warmth is worse for the biosphere than cold…especially since it’s today only slightly warmer than the coldest centennial-scale period of the last 10,000 years (the 1400-1900 Little Ice Age), and modern temperatures are still several degrees colder than nearly all of the last 10,000 years. People are 20 times more likely to die from cold than from warmth. Plants, animals…the entire biosphere prefers warmth. But you think warmth is bad…why? That would be me he’s referring to, not you. Really. The similarities are so many that it’s almost as if Scott Adams is describing SebH. ASIDE: I wonder if the troll really cant tell us apart (flattering as that is to me, I can’t help but be puzzled – maybe it’s just a new trolling technique?). Thanks Mr. Schneider for contributing to the main post. Mr. SebH seems to think he needs to comment on opinions and hurt feelings of his or the worlds or both. I have been reading your comments with interest and still working through the links you send! I don’t know, I don’t identify as a believer. You are the ones that fit this description. Wind and solar are better because the cause less CO2 emissions per kWh. 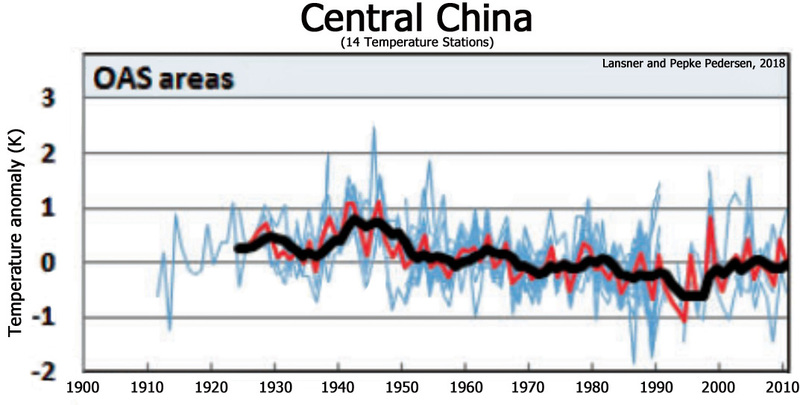 The question is if warming from what we have now is worse than the current climate. 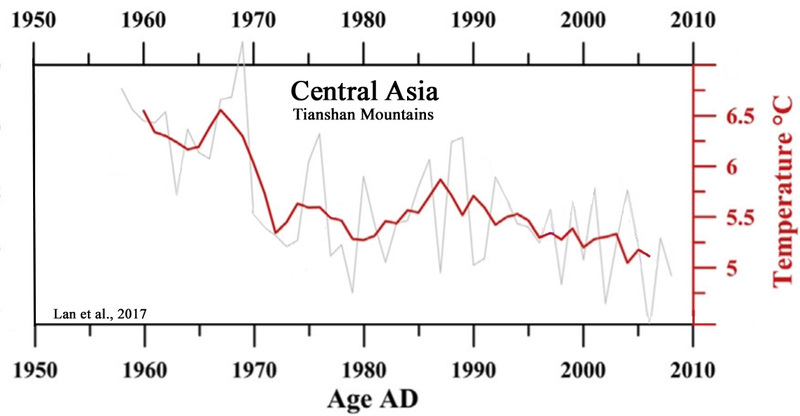 A new ice age (or a little one) is not good as well. especially since it’s today only slightly warmer than the coldest centennial-scale period of the last 10,000 years (the 1400-1900 Little Ice Age), and modern temperatures are still several degrees colder than nearly all of the last 10,000 years. People are 20 times more likely to die from cold than from warmth. Plants, animals…the entire biosphere prefers warmth. But you think warmth is bad…why? Are people 20 times more likely to die from or more likely in need of major investments in adjusting to the current climate or from/to a future warmer climate? That is the question, not whatever you are trying to get at. So you congratulate him about contributing to the main post and in the next paragraph recognize that he just expressed an opinion? Weird. The hurt feelings seem to be happening on your side from how you react here … why else this “no substance” nonsense. Wind and solar are better because the cause less CO2 emissions per kWh. And why does that make them better? Where is the harm in causing more CO2 emissions per kWh (assuming this statement is true)? Yes, that’s the question. 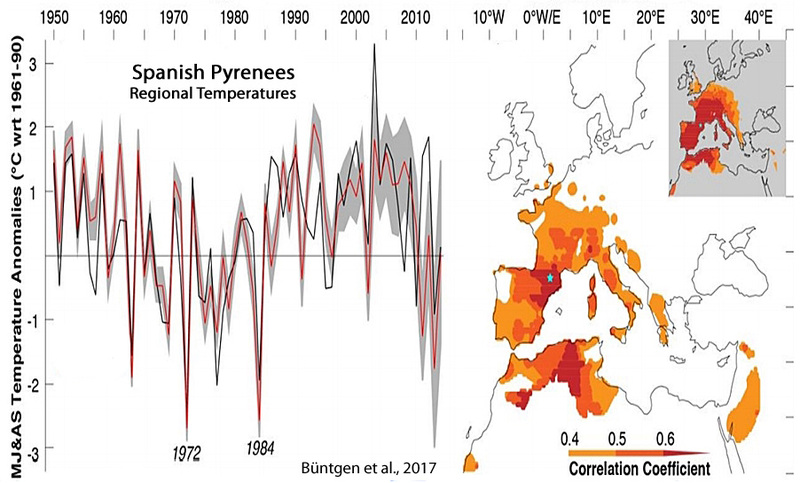 Obviously you think that more warmth than what we have now is bad for the biosphere – worse for human health, worse for crops, worse for plants (it leads to more browning than greening), and worse for those living on the coasts. Why do you believe this considering (a) people are 20 times more likely to die from cold, (b) crops thrive in warmth and can be grown in more areas of the globe when it’s warmer, (c) the world is getting greener, especially in previously brown areas, and especially since (d) there is more coastal land area above sea level today than there was in the 1980s — an observation (from satellites) that contradicts what the models suggested would happen? The latter observation effectively squelches the main (legitimate) reason for concern about a warming globe. 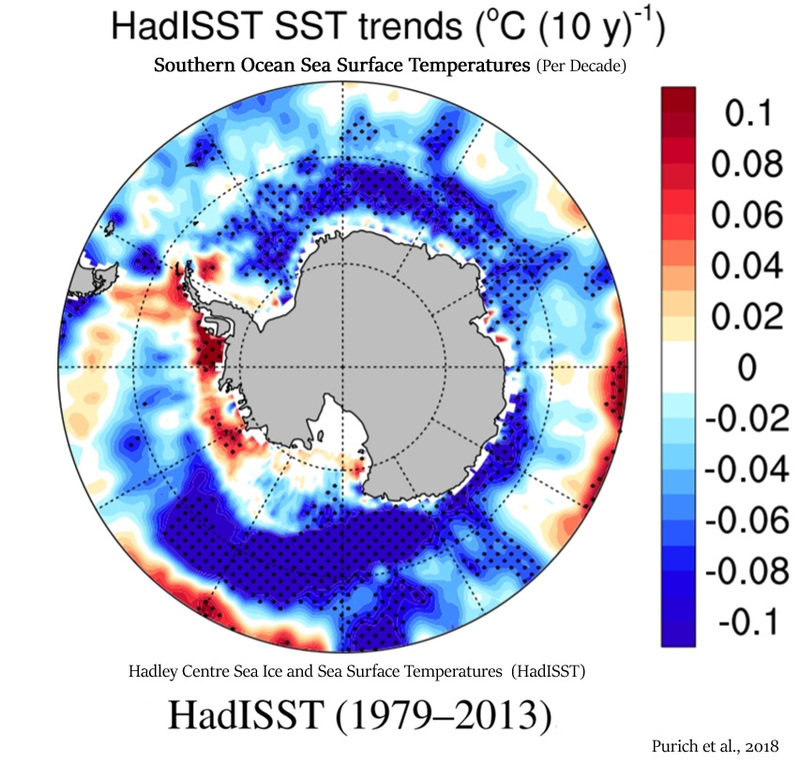 Why do you side with the alarmist believers rather than celebrating the lack of accuracy with today’s climate models? Are people 20 times more likely to die from or more likely in need of major investments in adjusting to the current climate or from/to a future warmer climate? A warmer climate is increasingly easier to adjust to, especially with the advent of air conditioning, which prolongs lives and allows people to live in regions of the world that they couldn’t have in previously much-warmer epochs. 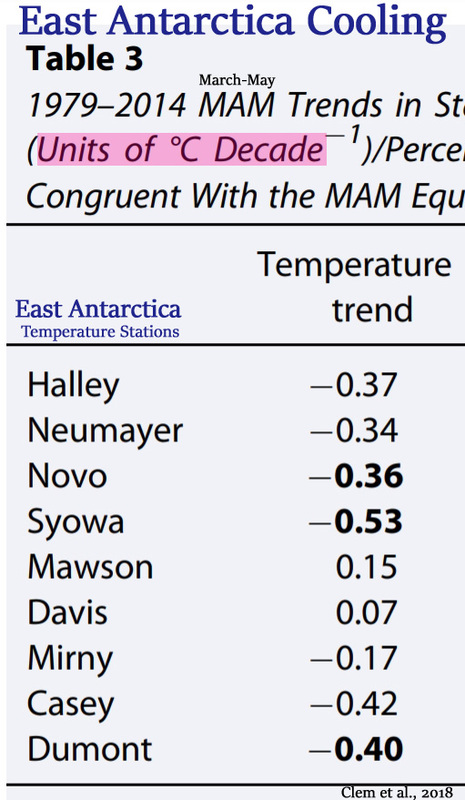 A colder climate is still much worse for humans than warmer one. This is becoming a circular thing again with you. You believe CO2 is harmless, good for you. Besides, solar/wind is now cheaper than fossil fuel power generation in many markets and in several locations even cheaper than natural gas. It is kind of amazing how you seem to get it at first and then nevertheless repeat this dying from cold thing. Is it getting cooler? 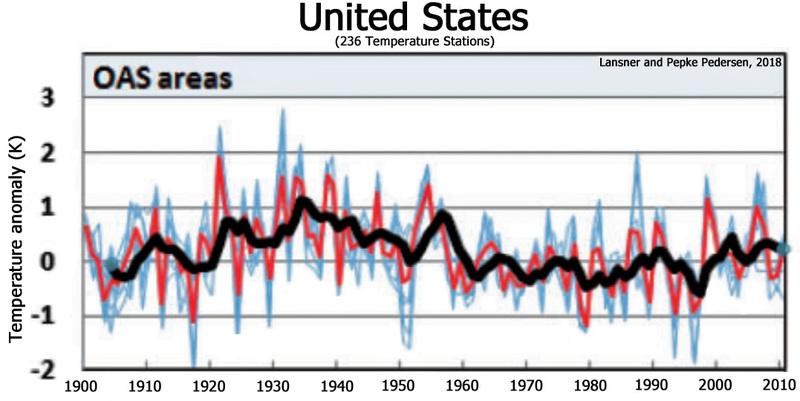 Nope, the question is whether a warmer climate is worse than the current climate. I see, that’s why agriculture is such a big thing at the equator. If you say so … no problems with changing climate regarding agriculture then. 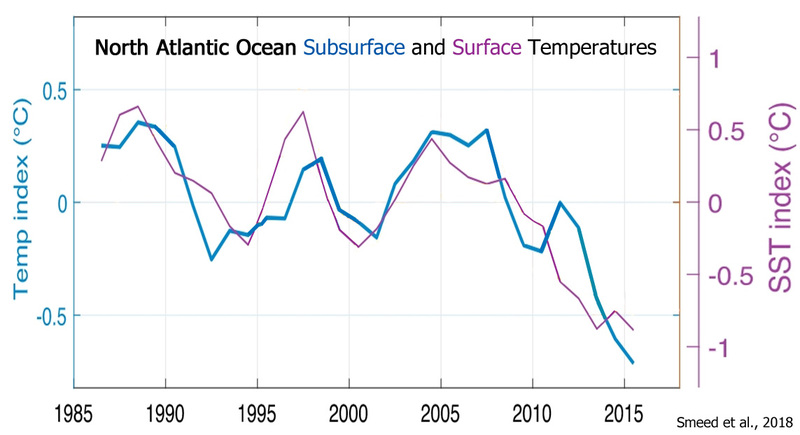 (d) there is more coastal land area above sea level today than there was in the 1980s — an observation (from satellites) that contradicts what the models suggested would happen? Doesn’t contradict anything. I linked you to the aqua monitor website where this data is visualized on to get you to recognize where coasts are growing. You didn’t recognize the common pattern back then, did you? There is no contradiction. 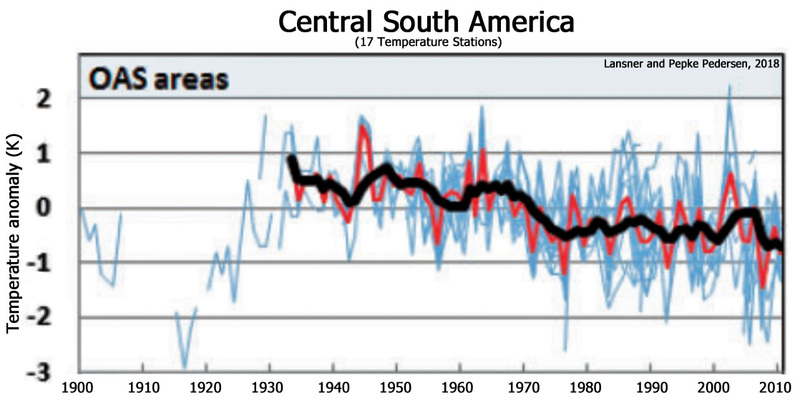 Why do you side with the alarmist believers rather than celebrating the lack of accuracy with today’s climate models? You believe CO2 is harmless, good for you. I’ll ask again: why do you believe that CO2 – essential plant food necessary for life on Earth to exist — is harmful? 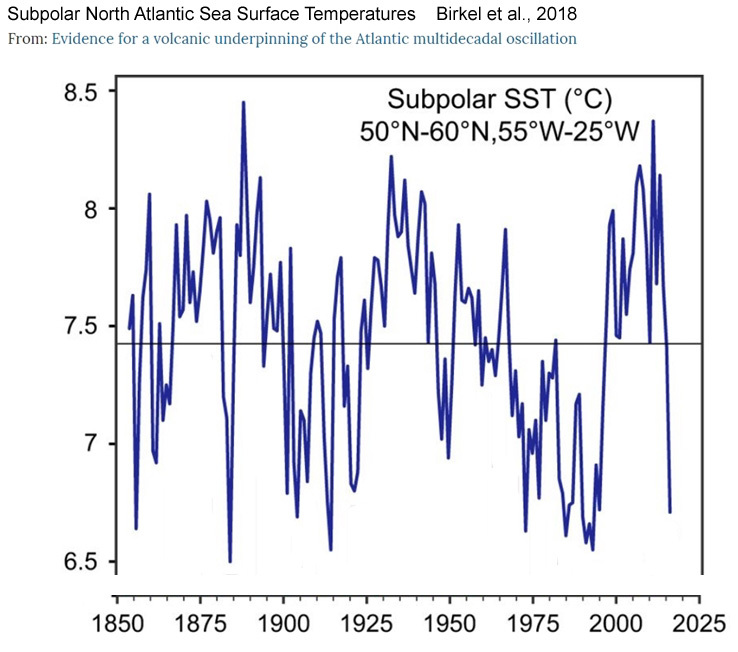 For that matter, why do you believe more warmth is more harmful than more cold when the historical record says the opposite? Instead of this “disaster” occurring, the opposite has happened: coastal land area has been expanding for the last 3 decades. This contradicts the predictions of the U.N. from the 1980s. I understand the need for you to deny this, but your denial rings hollow in light of the observations. Why aren’t you happy that the predicted disasters didn’t happen? Perhaps you can help me clarify something. SebH keeps yammering about the price of “renewables” coming down, despite the fact that consumers are paying more and more. I read something recently, and this is where I’d appreciate your input, that what is coming down is the amount investors are willing to pay for “renewables,” which is a reflection of it’s true worth in their eyes. But if the “worth” to investors is decreasing, and the cost to consumers is dramatically rising, that would seem to indicate that the product is garbage, and the only ones who don’t know it are the ones who are forced to pay the inflated prices for it. An answer like that makes my question irrelevant, in that the answer underscores the futility of building them in the first place. Any other analysis shouldn’t be necessary. Still, in spite of their worthlessness they’ve been built, and proponents keep insisting they are bringing energy prices down despite consumer price rapidly ramping up. Yet the argument that they are a good deal persists. Why? It seems there has to be a way of showing why it’s a bad deal by showing what the markets are really telling us. Anyway, that said. Your reference is excellent, and much appreciated. Thank you. Unwanted replies not getting through again? @Yonason: I don’t think you understand who pays what regarding wind turbines. There is a reason levelized costs estimates exist, they take a lot more into account than the simple capital only calculation that author is trying to argue with. Also, skeptics continue to argue with “but you need batteries” to support the wind farms. Do you really need them at this point? 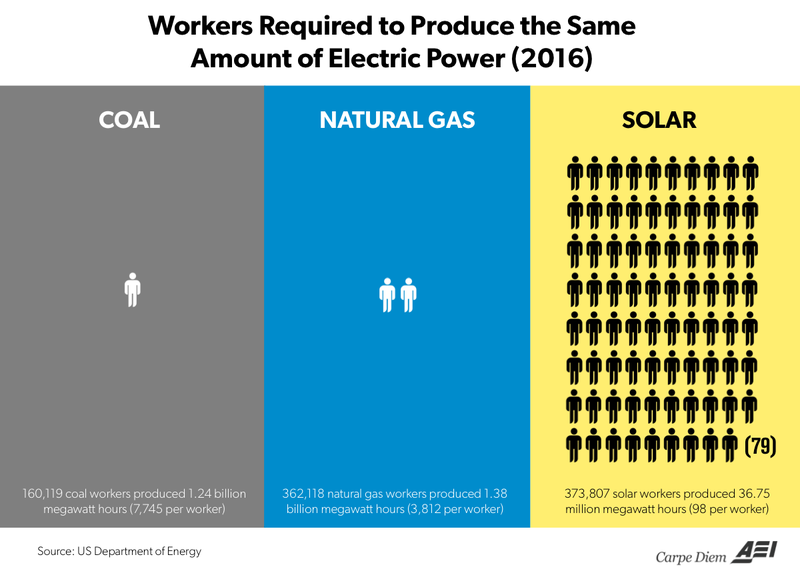 Can a coal power plant run at a capacity factor near what is given in that linked article when it is not complimented by other power plants to match the demand? OK, who prefers to build coal fired power plants rather than a dozen overpriced underperforming wind farms? I guess the troll didn’t get the memo. Yeah, and actually it’s SebH who hasn’t a clue. Seb H is a case in point. He is a caricature of most gullible would-be planet saviors, the poster child of doomsday preachers. 3. Ignores facts which contradict any of the above. Well, considering petroleum and natural gas may be renewable resources, there are probably some specific qualifiers necessary. LOL – Your characterization of SebH could be “best of show.” If not, it’s right up there. Love it! What do you think you are a caricature of? Do you think you aren’t gullible or a would-be something? Why do you guys keep mirroring or projecting your own faults onto your opponents trying to discredit them? Kenneth, that was one of those articles that make the who skeptic movement more a joke than anything else. Infinite fossil fuel … the dream of every climate [skeptic]. Next you write something about primary water and chemtrails. When I was 6 or 7, I remember hearing other kids use the refrain “I know you are but what am I?” when insulted or called names. SebastianH is in his late 30s. Infinite fossil fuel … the dream of every climate [skeptic]. Do you think this suggests that we will be running out of “fossil” fuel soon? Well, given that what they are calling “renewable” aren’t (anymore than they are “free”), perhaps just putting it in quotes when referring to “ruinables” (thank you tom0mason), but not when referring to the real thing or what might be? Apparently that’s the only “advanced training” SebH has, and the only subject he got a passing grade in. Seriously, you can see how SebH uses all those techniques. He may not use them like a pro yet, but you have to give him credit for his effort. And thanks for your links as well. Glad to have them. Thank you. Nice blog you have, too, btw. I repeat, CO2 is a harmless gas. CO2 is a stimulus to breath ! One small victory for mankind, a giant victory for those affected in Iowa. The devil is in the detail and the politics. As with the wobbly bridge in London, somebody comes up with a bright idea. The big picture design is subcontracted to a consulting engineer. The consulting engineer subcontracts the detail design. The detail designer subcontracts to a fabricator. Nobody in the food chain is able to question the design. Going downwards in the food chain, the threat is always to give the job to somebody else who says they can. Going upwards, one has to wear blinkers by following exactly what has been specified. If nobody specifies it, you do not consider it. You would be black balled if you did. For example, is it possible to make a 5 m diameter bolted joint between tower sections that is flat to within a few thou? Metal-to-metal contact is essential to ensure that all bolts can resist fatigue loads? Easy to say. Tolerances at this size are a challenge to achieve by machining after welding. However, if only welding has been specified, then welding is provided. The welder does not need to worry about needing full width metal to metal contact essential prevent fatigue failure. See https://renews.biz/38563/bolts-blamed-for-v112-collapse/. (Bolts are blamed at Lemnhult. However, bolt pre-tensioning only works if the full joint surface is in metal-to-metal contact. Bolt pre-tensioning is worthless with an air gap. Blaming a bottom feeder with a spanner is such a good excuse to save everybody else’s skin). If the lunatic greenies have their way, this will no longer be an option. And when that safety net is no longer available, more people will die. …if some haven’t already because they couldn’t afford to heat their homes. It’s impossible to imagine that isn’t an outcome that greenies want. For whom does the wind blow? Not for thee. Henning Nielsen on Crete Is Home To 1000 Endangered Griffon Vultures. Wind Turbines Are Projected To Kill 84 Of Them Per Year.